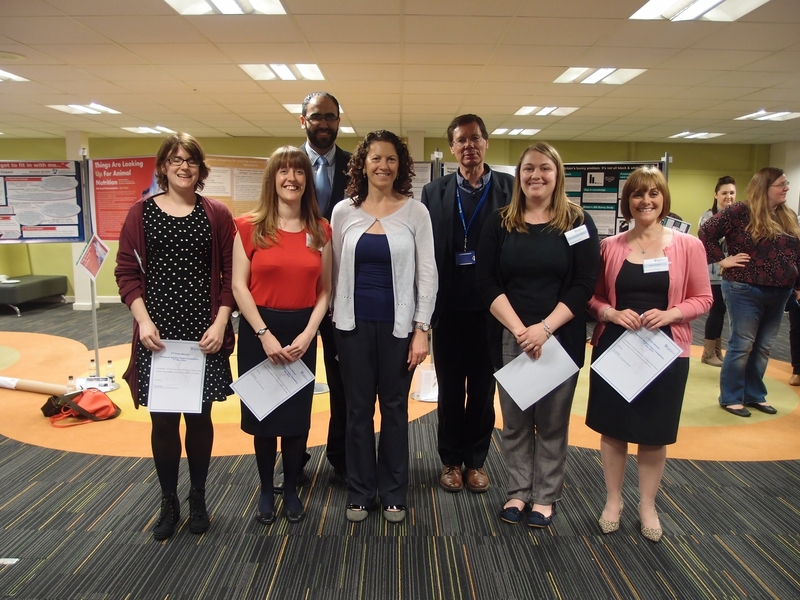 The University of Northampton’s Graduate School hosted its ninth annual Research Student Poster Competition yesterday. The competition is a great opportunity for research students to showcase their work, practice their presentation skills and discuss their research with a non-specialist audience. Jane Youell, from the University of Northampton’s Centre for Health and Wellbeing, was awarded the first prize. Held in the Dialogue Café at the Rockingham Library on Park Campus, the event was open to research students from all years of study. The 19 participants were expected to present themselves and their posters to a panel of judges, answering questions and providing further information about their research. The winners were announced by Professor Ian Livingstone, head of the Graduate School, with a top prize of £100, and four runner-up prizes of £75. 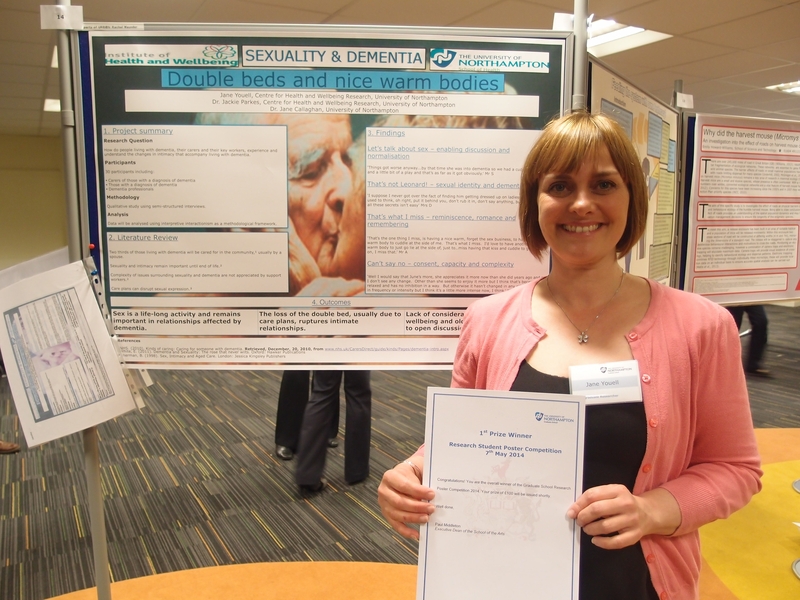 Jane Youell from the University of Northampton’s Centre for Health and Wellbeing Research took the first prize, with her poster, ‘Sexuality and Dementia: double beds and nice warm bodies’. Jane’s research has investigated how people living with dementia, their carers and their key workers, experience and understand the changes in intimacy that come with the condition. The runners up were: Kathryn Harrold from the School of Science and Technology with her poster on predicting habitat potential for pollinators, Louis El Khoury, from the School of Health, whose research considers Achilles tendon injuries, Clare Ellis from Moulton College who is researching the reasons people give up pet rabbits, and Emily Howard Williams, also from Moulton, whose research focuses on harvest mice dispersal. Simone Apel, Research Training Co-ordinator for the University of Northampton’s Graduate School, commented: “Poster competitions are a fantastic way for researchers to practice describing their research to non-specialists, without having to stand up in front of a large audience. The posters will be on display in the Rockingham Library (ground floor) until Monday 12th May. Posted on May 8, 2014, in Events and tagged Graduate School, poster competition 2014, Postgraduate research students. Bookmark the permalink. Leave a comment.